Something you will read about: "millipede" a small, worm-like creature with many legs. The harmony of the forest was about to be disturbed, and would bring about some drastic changes. As the winter was drawing to a close, the animals of the forest were preparing for the activities which would take place in spring. Birds were building nests of leaves and twigs, Monarch butterflies had returned from their flights to warm climates, and the eggs of the praying mantis were hatching out of their hidden cocoons. Bears and other hibernating creatures were waking from their long winter sleep, and were preparing, once again, to join the forest community. All was peaceful and in order. There was harmony between the animals, as there had been for so many years before. But, in another place and time, a strange event had taken place that was not only a rarity, but also unexplainable. Some sort of natural disaster had occurred, leaving few animals alive. The survivors were forced to find a new home, so they set out, searching. Many of the survivors were old and died shortly after. The young were left to survive on their own. They did not know where to live, what to eat or how to protect themselves. Instinct was very little help now. They would have to learn quickly how to adapt and survive in a strange land. Two of these animals, a male and a female, set out to do just that. They were of eagle size, with strong curved beaks and they had talons for feet. But they certainly didn't look like eagles, because they were bright orange. They were indeed a rarity. Picture the forest. It is spring, and all is green except for occasional splashes of color on those flowers which are beginning to bloom. The other animals of the forest almost blend in with their surroundings. These new animals didn't mean to intrude. They were just trying to find their place. For the moment, the residing animals let the newcomers be, for the forest was big enough for two more, and after all, what could possibly go wrong? First in the order of things for the young newcomers was the problem of food. They were hungry, but didn't know just where to find food. Surely, if they just watched some of the other birds, they could learn. At that point, they heard a sharp, rapping sound. 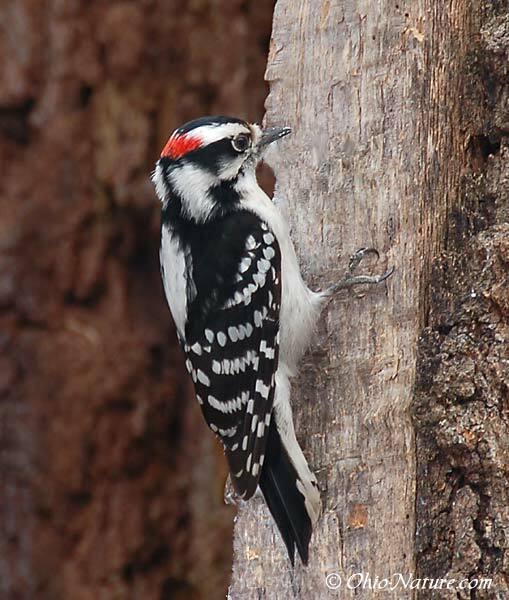 A Downey woodpecker was pecking away at a tree and obtaining insects to nourish itself. That seemed easy enough, so the newcomers tried to fly to the same location on a different tree, but this proved to be very difficult. Their wings were too big to fly among the lower branches. Not to be discouraged, they found a spot closer to the ground, and tried the same method. It didn't work. 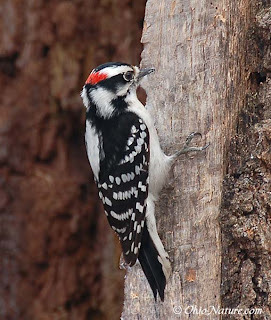 Where the woodpecker's beak was long and sharp, the newcomer's was broad and curved. Surely there must be some food suitable for their beaks. They looked around, but it seemed that all life had vanished. How strange, and how conspicuous the orange newcomers suddenly felt in the forest. There was no time to search for camouflage now, since their hunger still had not been satisfied. But what was this? The male newcomer had turned over a decaying log, and it was full of things to eat. 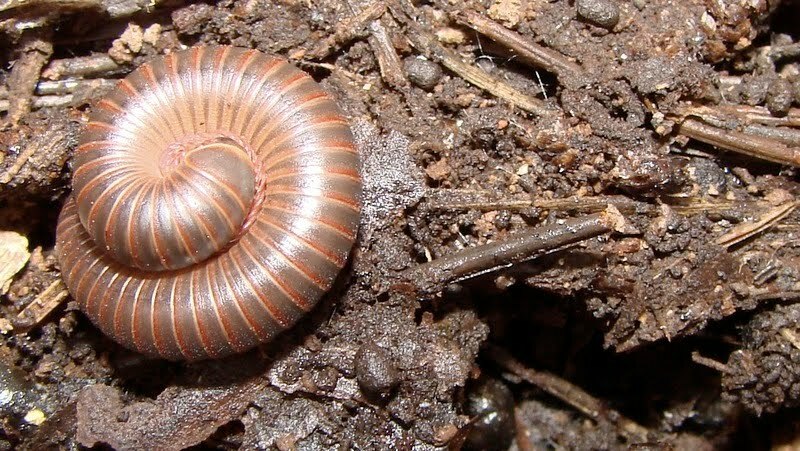 Surely these sowbugs, lightning bug larvae, and millipedes would nourish them, but again their beaks were not suitable. They finally managed to eat a few berries from a shad bush and their hunger was momentarily satisfied. The next problem was where could they sleep? Again, their alert senses told them that merely closing their eyes was not sufficient. They needed to find a comfortable location which would offer protection and privacy, for they sensed, too, that it was time to mate. A tree seemed most suitable; in fact, they had seen smaller birds in a nest, but how could they get up there, since they couldn't utilize their wings and there just was not enough room? They settled, instead, in a hole at the base of a tree, vacated by a raccoon. Nighttime fell on the forest, and different sounds could now be heard. The newcomers awoke to the sound of splashing water. Clearly, the splashing of water must mean another source of food; hopefully a more adequate one than the shade-bush. Their progress toward the sound was slowed somewhat by the fact that they didn't feel completely comfortable walking. Their feet were actually claws, but since flying was almost impossible for them in the dense forest, walking was the only alternative. As they arrived at the edge of a stream, they saw a raccoon reaching for something. It must be food. It was, but again, the newcomers had a problem, for their legs weren't long enough. They went back to complete their rest. Meanwhile, spring turned into summer. Owls hunted for snakes, but the search was useless for there were none. Skunks, weasels and foxes seemed to be disappearing. Woodpeckers pecked away, and hardly got an insect, and though deer-berries were in season, the blue jays could find very few. The delicate balance of nature was being upset. Small holes were causing young trees to topple due to root damage, and lower leaves and branches were all chewed away. Most living things seemed to have decreased in number, except for mice. They had increased by the hundreds and were all over the forest floor. Could it be the newcomers who were causing this chaos? But, how could it be? They did not mean to intrude. Certainly these orange eagle-like birds didn't eat all the snakes, skunks, weasels and foxes. And what about the damage to the plants and trees, and all the holes? If the newcomers ate the snakes and even the foxes, they wouldn't need those other things, and what could account for all the mice? But, indeed, the newcomers had caused all these changes. They had found camouflage in the darker, denser summer forest, had multiplied by the dozens, and for nourishment, ate snakes. They had finally found a food that was suitable to their physical characteristics. They were able to grasp a snake with their talons and quickly puncture it with their sharp, curved beaks. The newcomers were responsible for the disappearance of the skunks, foxes and weasels as well, although not in the same manner as the snakes. They had simply scared them away. The newcomers had found their place. They had privacy in the hole in the tree, snakes for food, and shade as camouflage, providing protection from others. They had everything that animals need in order to survive. Everything seemed perfect, but could it last? They had eaten all the snakes and chased away other animals who usually eat mice. 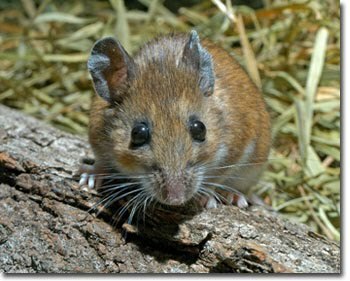 Mice normally give birth very often, so without these animals to keep the population down, the mice multiplied, and in so doing, the foods they ate, the insects, berries, twigs and roots, were utilized rapidly. Animals that were dependent on these sources of nourishment soon disappeared. Change had affected the newcomers, and they had, in turn, caused change. 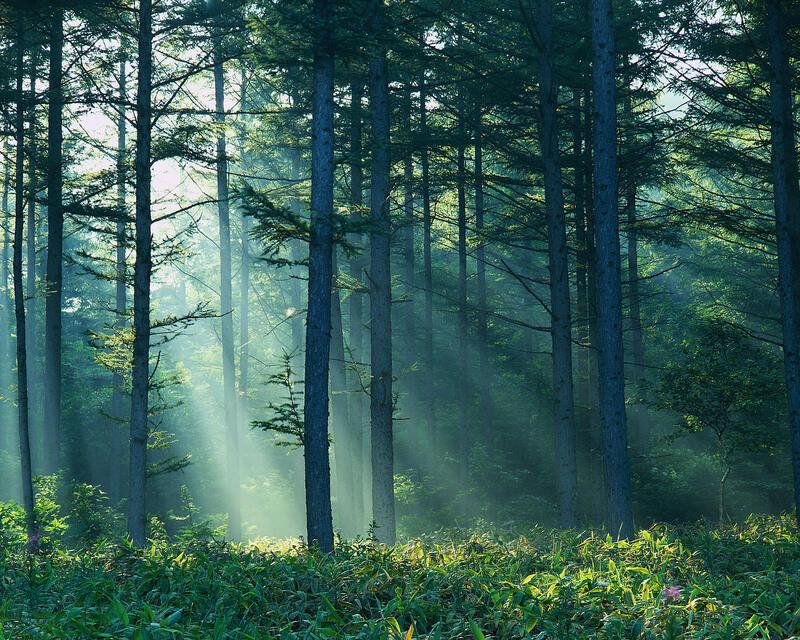 The forest community was able to survive the change, and gradually conditions returned to normal. The eagles began to explore and soon found places which were much more suitable for them. 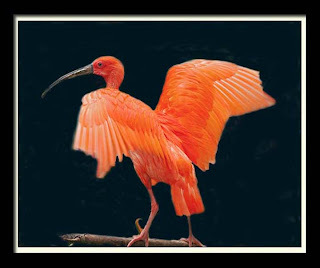 They gradually lost their conspicuous orange color and wandered into an area that had far fewer trees, and they flew. They fit in better here. Their sources of food varied - snakes, small rodents and fish that they could swoop down upon. Their protection came from flight as well as nesting high in a tree or on a mountain ledge. They had finally found a place that fit in with everyone else's. a. had been covered by a layer of paint. b. were eagles that had survived a disaster. d. were really a new breed of creature. a. they searched for food. b. all the mice died. c. the woodpeckers stopped pecking. d. they looked for shelter. a. destroyed the young trees. b. found protection and multiplied. a. indirectly caused all of the changes in the forest. b. had no effect on the peaceful forest. c. shared all the advantages of the forest with the other animals. 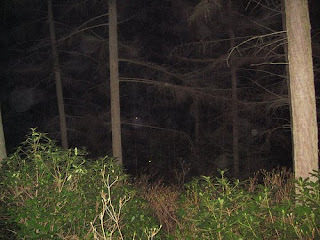 d. were unnoticed in the dark, dense forest. a. they were eating more. b. most of their natural enemies were gone. c. they found better hiding places. d. the orange birds protected them. a. have died in the attempt. b. have been too tired to fly. d. not have caused so much damage. 8. According to this selection, which of the following statements is not true? a. The forest cannot survive any changes. c. Newcomers to the forest must adapt, not destroy. d. Talons are really claws. b. "Spring in the Forest." 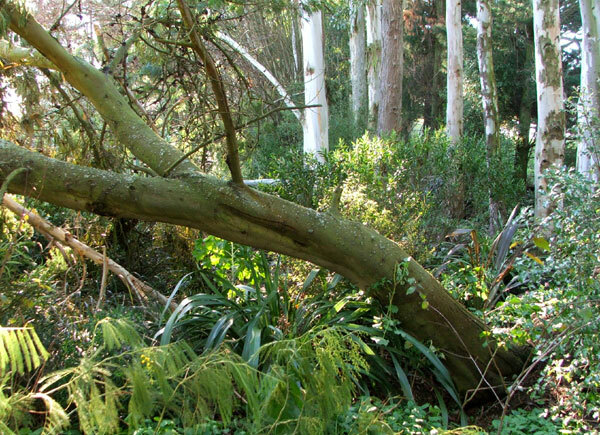 a. how a radical change affects the harmony of nature. b. the habits of big orange birds. c. the eagles' life in the desert. d. the rebuilding of a devastated forest.